Our club was founded in 1924. At least that is when we began playing tennis on our present site. 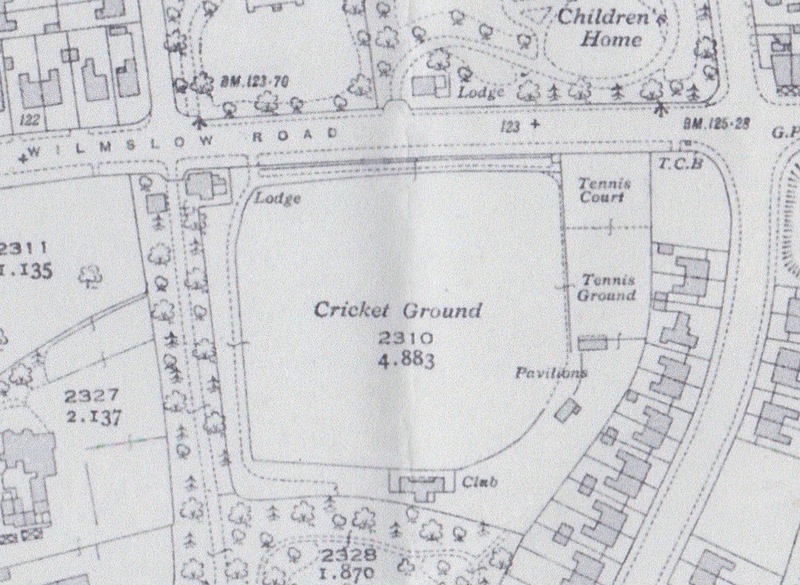 Before that we’d been a section of the Didsbury Cricket Club on Wilmslow Road. By 1924 the tennis members had decided to set up on their own, we don’t know for what reason. The move cannot have been easy. 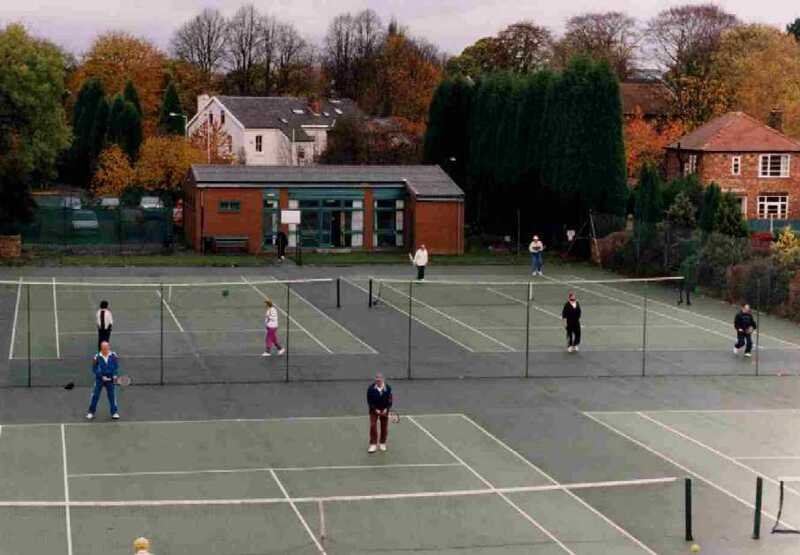 When a site in Parrswood Road had been purchased with the aid of substantial loans, it is said that members dismantled their wooden clubhouse, brought it down to where we are today, re-assembled the building and had some six courts laid, two of grass and four of shale. There is another story that the clubhouse was brought down to its new site on a lorry pulled by an elephant hired for the occasion from a travelling circus ! That may be just a nice story - but who knows ? Everything changed when the old clubhouse was burned down on the night of the 18th of April, 1979. We have no idea what caused the fire. It certainly left us in a mess and with a decision to make about whether we had a future at all. An extraordinary General Meeting of club members decided at last to sell the spare land where the grass courts had been, lay new tarmac courts and build a brick clubhouse. It took quite a while to sort all this out, with a period of hiring a Portakabin to function as a temporary clubhouse and playing our social tennis in a local park. We re-opened fully in the summer of 1982. With everyone happy about the redevelopment, it seemed that the fire had done us a good turn. Someone even suggested that maybe a member had started the fire to ensure the club’s future ! Since then the club has gone from strength to strength. The tarmac courts have been replaced with Astroturf, floodlights erected with the aid of a lottery grant and the clubhouse fabric and furnishings improved bit by bit. 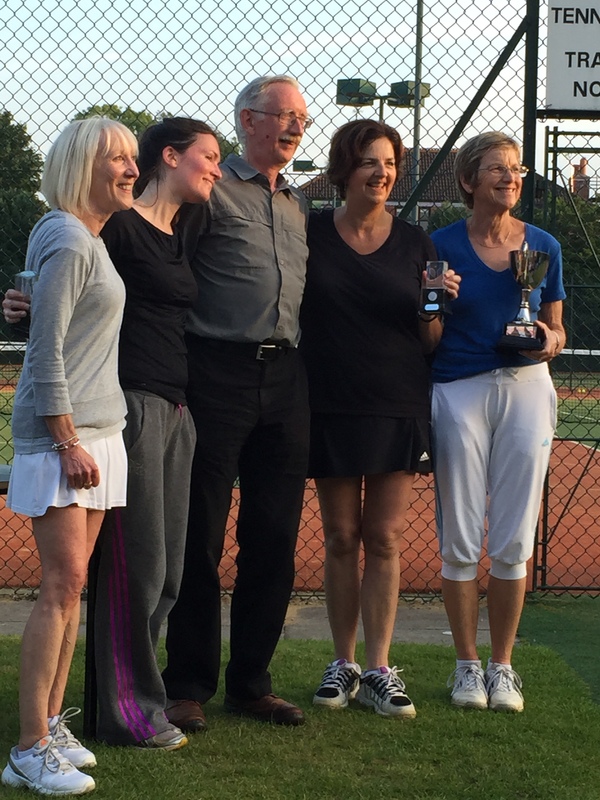 Our courts are reckoned to be among the best in our local league, and we look forward to many more years on the site the early members took such trouble to establish.